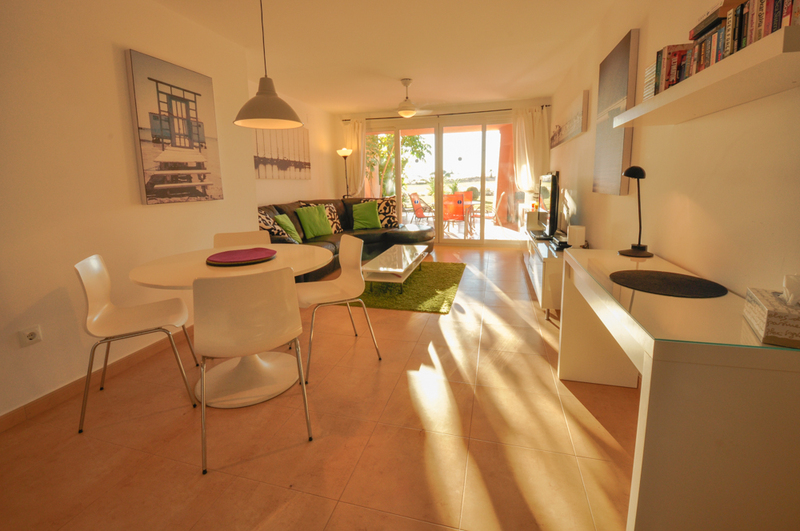 Sunny apartment with large terrace near pool! 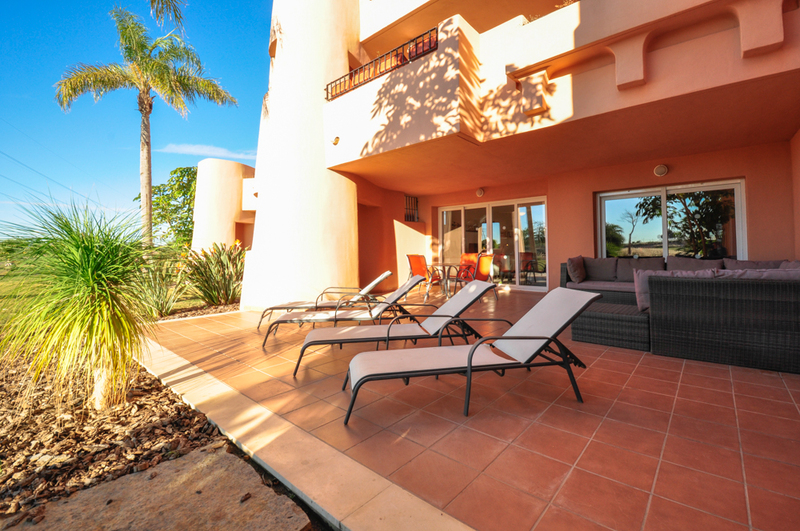 Exclusively Murcia/Mar Menor are delighted to offer this fabulous ground floor, two bedroom, two bathroom apartment with a huge terrace and open views over the golf course at the Mar Menor Golf Resort. Apartment MM2005 enjoys uninterrupted views over the 11th hole...Being a ground floor apartment it has direct access to the nearest swimming pool. 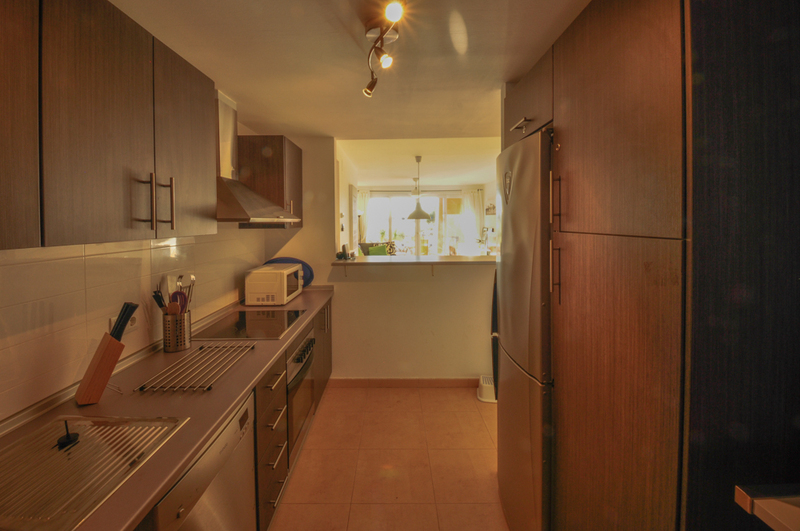 The apartment is stylishly furnished and features include a large corner leather sofa, UK TV, free wifi, DVD player, a spacious well equipped kitchen, air conditioning in the lounge and bedrooms and two bathrooms. 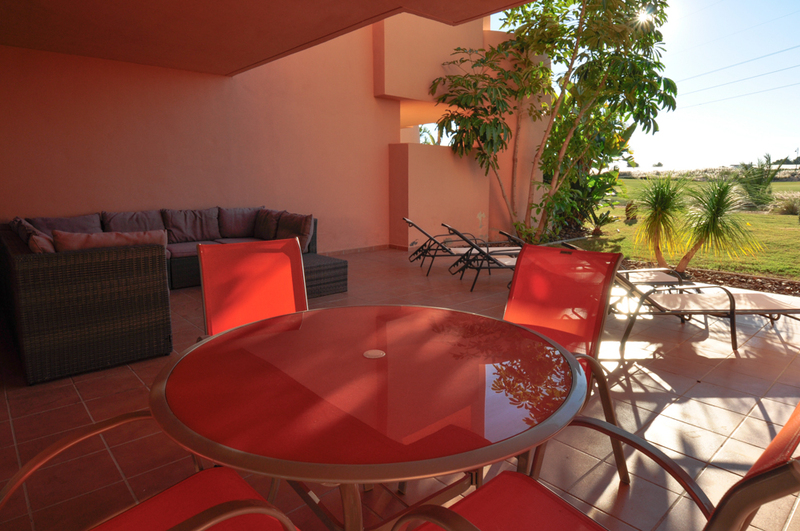 The apartment is conveniently located as the resort centre is only a 10 minute walk away. 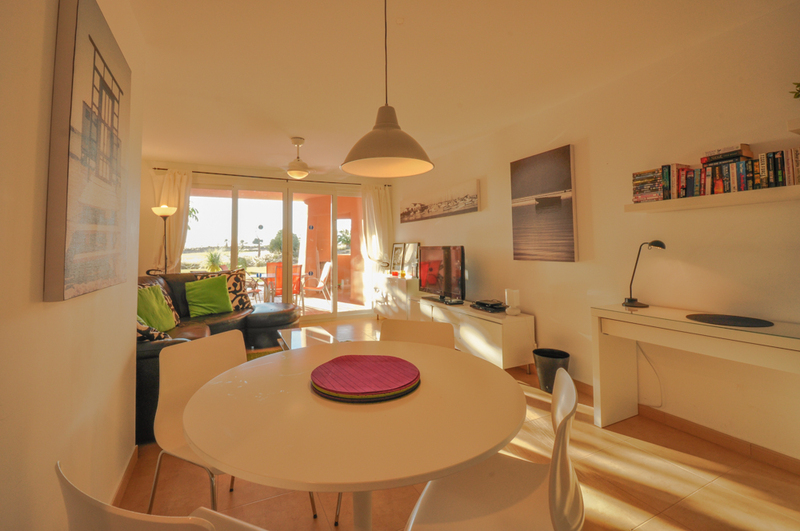 The apartment is furnished like a home from home and really is perfect for self-catering holidays throughout the year! The accommodation includes a spacious lounge with dining area, patio doors leading to a huge terrace, a well equipped and modern kitchen, a large master bedroom with en-suite bathroon, a twin bedroom and a shower room. 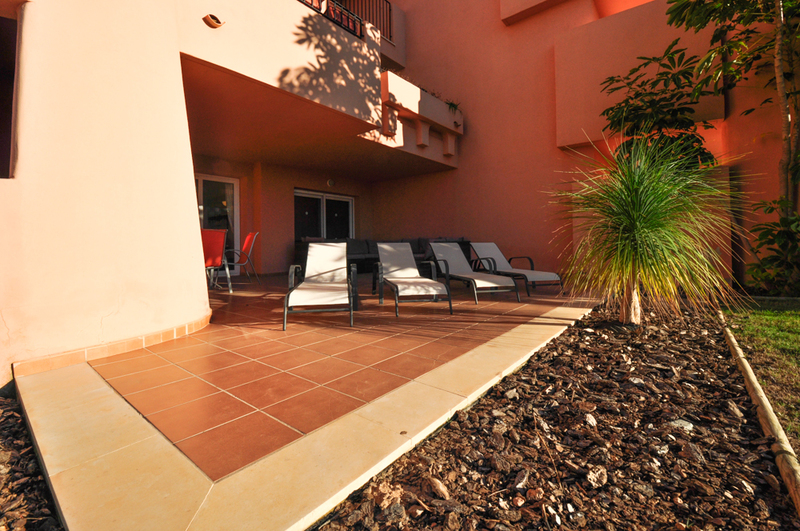 Externally there is a huge terrace so realxation is made easy with sun loungers, a great dining table and chairs for dining al-fresco plus a comfy sofa set for chilling out with a cheeky beer. Additionally there is another terrace off the 2nd bedroom. 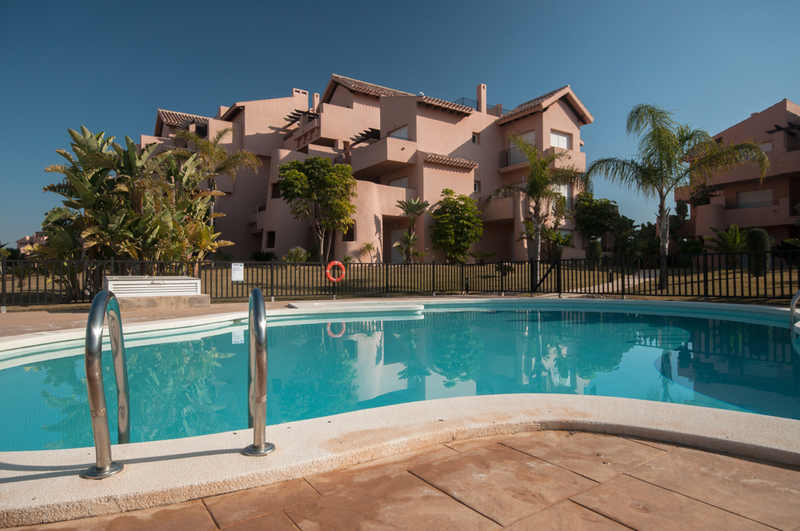 The apartment has direct access, via a lovely garden area, to a beautiful communal swimming pool, ideal for those quick dips in and out of the pool! It also benefits from secure underground parking. 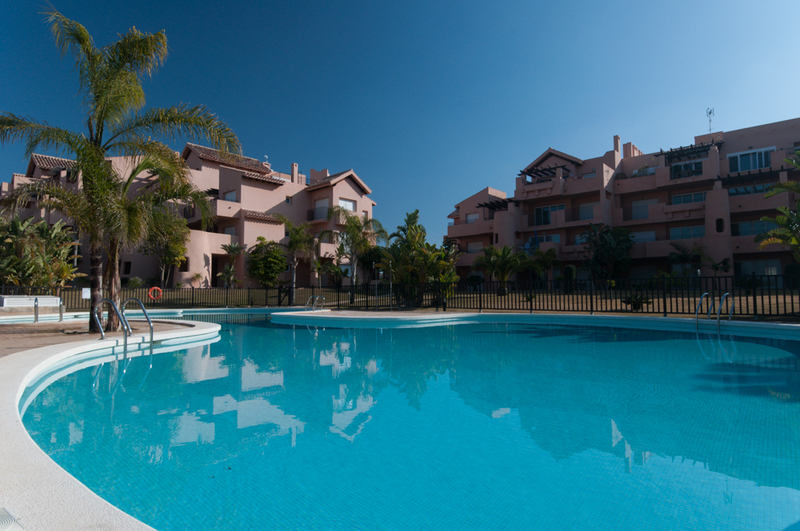 In conclusion, apartment MM2005 is a gem, perfect if you like lots of outdoor space and direct access to the pool! Need another apartment nearby? 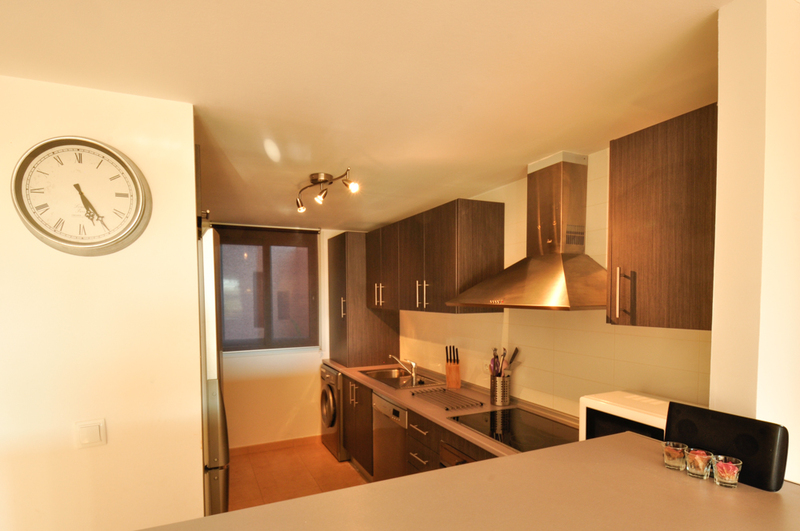 Have a look at MM2001..
secure underground parking and use of communal pool.